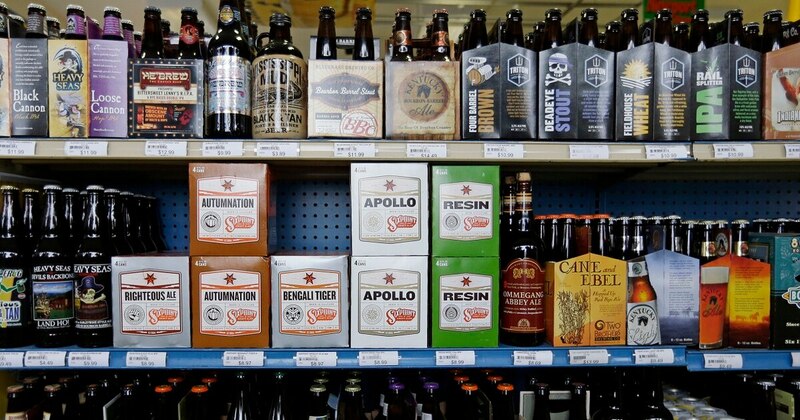 Beer and wine will be on the shelves in commissaries within the next 90 days, according to a Defense Department memo sent to lawmakers. “The availability of beer and wine at military commissary stores will increase customer satisfaction and convenience, and align with common commercial grocery store practices,” the April 27 memo states. The memo, obtained by Military Times, was signed by Robert Wilkie, the under secretary of defense for personnel and readiness. Commissary prices for beer and wine will be comparable to the prices in military exchanges, Wilkie noted in a separate memorandum, also dated April 27, to service and commissary officials. Officials will also implement measures that promote the responsible use of alcohol, he noted. Wilkie is making history: Until now, commissaries haven’t been allowed to sell beer and wine, aside from some limited tests in the past. Similar to the way tobacco is priced in commissaries, the beer and wine will be purchased for resale from the military exchanges, to minimize any potential impact on exchange profits and dividends to morale, welfare and recreation programs. Wilkie’s memos said the initial phase of sales will begin within 90 days. This initiative excludes distilled spirits. In the past, there have been recommendations to allow the stores to sell beer and wine to make a profit on these items, and add to the convenience for customers. One such recommendation was made by the Military Compensation and Retirement Modernization Commission in 2015. The exchanges will add an additional charge for the merchandise, to minimize any potential negative impact, and to cover the loss of earnings from lost sales at package stores. Because of pricing flexibility they have been given by lawmakers — the ability to increase or lower prices of individual items — the commissary’s sales prices for beer and wine “will be comparable to the selling prices for beer and wine in military exchanges,” Wilkie’s memo to the services stated. Commissary officials will follow DoD requirements for the exchanges regarding the sale of beer and wine, including minimum age; eligible purchasers and quantity limitations; responsible use of beer and wine; segregation of stock and compliance with inventory controls, ration controls and signage; and other regulations.